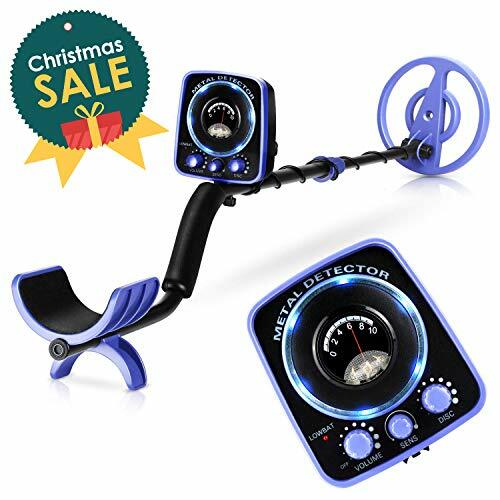 There are some nice choices when you want to pay more than the entry level price for a metal detector. With the extra cash spent you’re getting a couple of bells and whistles that is more than worth the expense. Among the many benefits of the products in the $500 and under category is improved durability, a modern control panel and some of the best long-term warranties available. By now Garrett is such a familiar brand name that even people outside of the industry know them. The Ace 300 can be purchased for an average price, and with it buyers will get a lot of product. It comes bundled with Garrett Clearsound headphones, one of the better available pairs from their line. They are good enough to be used as stereo headphones and come with inline volume control. Batteries are also included in the set, four AA’s and they aren’t generic. It will be a while before you have to switch out these batteries for new ones. A protective cover is the last extra that is available with the package, and it is used to keep rain and dust from getting on the coil. It is a small clip on accessory that does the job without being difficult to put on. If something does go wrong, there is an included two year warranty to protect the buyer. With the usual Garrett magic users that have problems can breeze through customer support to get the help they need. It should be noted that this is the 300 and not 300i, since the latter has improved frequency and a larger search coil. 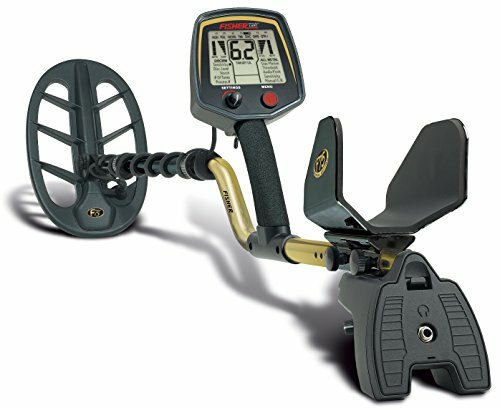 The Ace 300 is still a great metal detector that bests rivals costing twice its price. 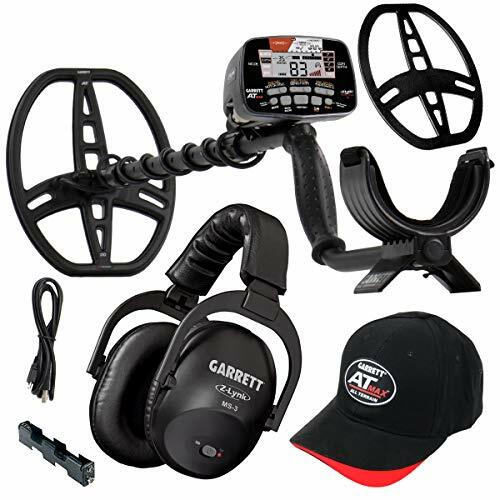 A step up from the Ace 300 is the Ace 400, the next iteration of Garret’s popular metal detector series. There are some key differences between the two, starting with the high price of the Ace 400. Buyers are treated to the same great starter set as the previous model, only this time they have made some changes with both the quality of the components and also what’s included. Headphones and batteries are included, with the headphones being slightly higher quality than the 300 series. The inclusion of the Pro-Pointer AT device is a welcome addition, and it is bundled with a 9-volt battery. Search coil size is a generous 8.5×11, covering a lot of area with little effort. It’s also waterproof with optional protection with a dustproof/rainproof cover. The control panel has a similar protective covering that can be used when the device is in an idle state. But what really makes this version amazing is the 10 kHz frequency, fully adjustable and one of the highest available from Garrett. Eight sensitivity settings and a two year warranty seals the deal for anyone interested in cutting edge technology. 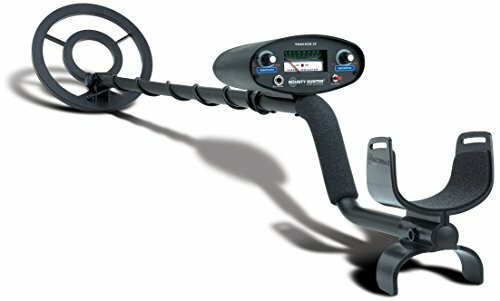 This is one of the very best metal detectors you can get for under $500, so it comes highly recommended. The Ace 250 is a nostalgic trip back to the very beginning of the Ace series before it became big. Even today the Ace 250 is popular, and that is why it’s sold at a mid to high price. All of the foundations of the newer iterations can be found here, starting with the graphic target ID curser on the control panel. It is easy to read for users of all levels, with clearly defined buttons across the bottom in bright colors. Eight sensitivity levels can be set according to the ground conditions you’re searching over. Within reach is a notch to accept or reject objects you find, which works as an on the fly filter. By using the electronic pinpoint consumers will gain a massive advantage when searching for different types of metals. Garrett used acrylic as the base material of the metal detector, a smart decision since it keeps the weight down. Even with the complexity of the advanced features, beginners will enjoy this purchase as much as professionals. Accuracy is a strong point of the Ace 250, and that alone can really drive the usefulness of a metal detector. Buyers that want a taste of what the Ace series has to offer will be served well by bringing home the Ace 250. Bounty Hunter makes their first appearance on the list with the Land Ranger Pro. This is their high priced alternative to Garret’s Ace series, and it delivers big. The star of the show for the features is the V-Break variable tone breakpoint, an essential function in finding the right objects with as little effort as possible. Most of the core features are automate, so beginners can catch on quite quickly. Ground grab is one of those options, and it does quick work by handling ground balancing as you move. Tone ID can handle up to four settings while target ID goes up to 99. The search coil is an 11 inch waterproof beast that operates at a frequency of 7.69 kHz. With only one 9volt battery needed for operation, that’s an impressive feat. Overall the Land Ranger Pro uses less power than the Garret Ace series. They even bested the competition by including a five year limited warranty. That’s still one of the longest in the industry, and worth noting since it covers a lot of important parts on the metal detector. Weight is only 2.4 pounds, so you won’t have any trouble carrying this around all day. Height is fully adjustable, so users of any size will be able to find their comfort zones quickly. There isn’t a lot you can’t do with the Land Ranger Pro, so it serves as a solid addition to the list. 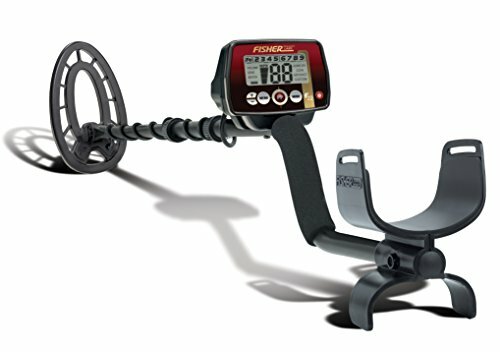 Last on the list is the dependable Fisher F22, a high priced metal detector that offers some interesting options for potential buyers. The complexity of the settings makes this ideal for intermediate and professional buyers. There are 10 adjustable sensitivity levels, more than enough to find any precious metal on your search list. It has enough power to detect metals that are 9 inches deep in the ground, with enough filtering customizations that you never waste time on false readings. The interface on the control panel is the best out of any on this list-don’t let the lack of buttons fool you, outside of the pinpoint mode it has a lot of options under the hood. The nine inch search coil is weather resistant with a large coverage area, useful for taking advantage of the 7.69 kHz operating frequency. Only two AA batteries are required to power the unit, which even at the highest precision setting uses as little energy as possible. Unique to this model is an iron identifier icon that’s quite useful if you’re in a busy area with a lot of materials. Putting a lot of mileage on the components isn’t scary since the F22 comes with a robust five year warranty. 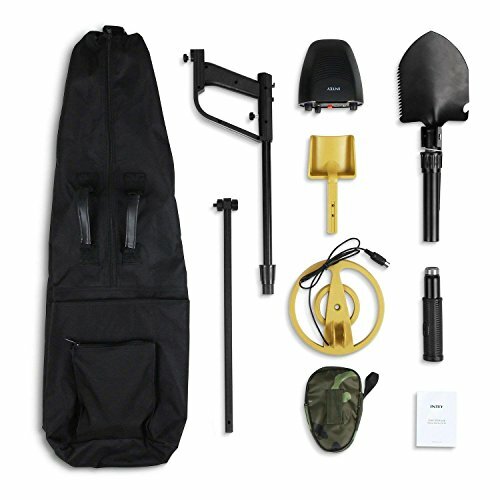 It rivals Bounty Hunter as being one of the better deals for metal detector customer service. The F22 is a product with a lot of hidden layers that’s worth the purchase. Fisher, Bounty Hunter and Garrett are all big parts of the $500 and under club. 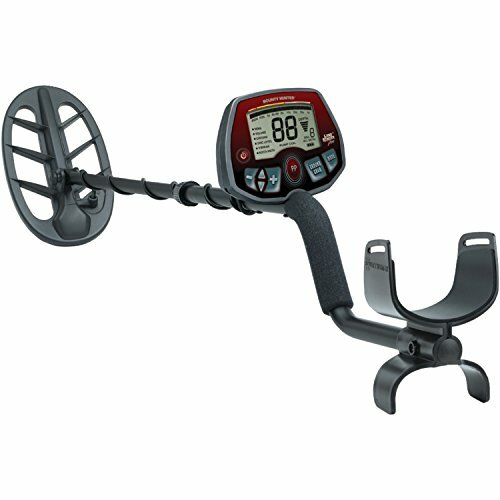 All three brands offer competitive prices with rock solid components in all of their metal detectors. Garrett is known more for their big starter packs while Bounty Hunter has the best design. 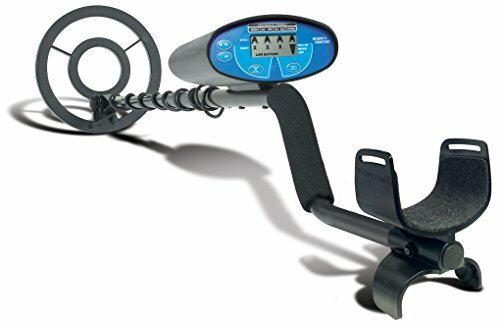 Fisher is the best choice for experienced users that want more control over what their metal detector finds. All of these brands have strengths and weaknesses that’s worth pointing out, but the short version is; beginners should choose Garrett, intermediate users and professionals should choose Fisher or Bounty Hunter. There is no wrong choice as long as you do the necessary research into all the features that are offered with each device. In the $500 and under category you’ll get a lot of cutting edge options that are found in products twice the price. It works as a nice middle ground to give you a taste of what’s available in the top tier. High Frequency – This is the price range where you will get the most value out of high frequencies. Even if you go to a higher priced metal detector, it is unlikely that it’ll have a high frequency. Better Pinpointing – It’s an important part of getting the most out of your object hunting. Pinpoint modes (or separate pinpointers) will help out tremendously in crowded areas. Adjustable Sizes – There are a lot more adjustable positions to play around with. Some of them are compact enough that juniors are able to effectively use the metal detector. Large Coils –Larger coils means a larger area will be covered while looking for materials. In order to make this work efficiently, the metal detector needs to have good frequency to make up for bigger area covered. Nothing really stands out about the design unless you’re looking at the Bounty Hunter model. All of the metal detectors on the list are made with comfort in mind rather than aesthetics. The Garrett models have more buttons but less options than the other brands on the list. Fisher and Bounty Hunter have less buttons but offer deep customization when you get into the meat of the menu. All of the metal detectors in this range seem to consolidate their best features and put it directly on the interface. They also use the exposed coil wire design that was popularized in the early days of metals detectors. Beginners that want to jump right into the thick of things can purchase a $500 and under metal detector. The listed models all have digital LCD’s with lengthy instruction manuals. They are complex enough to go past the base mechanics of object hunting, yet still scale back some of the high tier advanced options so it doesn’t confuse the user. 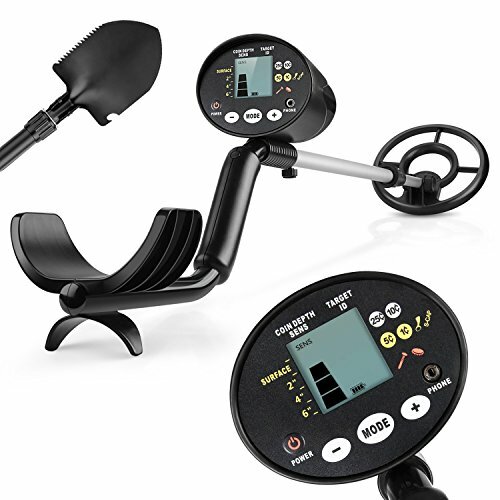 This is as close as you’ll get to a modern metal detector that’s suitable for beginners. None of the interfaces use the traditional meter, so there will be an adjustment period if you’re moving over from a traditional product. Considering the entry price, there is a lot of value in purchasing any of these models over cheaper products with a traditional interface. Rain and dust covers protect the search coil from damage when you’re not using it. There are two different situations where a protective cover will save you money; during transport, and during storage. Protective covers are included with every product on the list, a good deal when you consider that not all brands ship with this type of protection in the box. Transporting your product from point A to B sounds simple enough, but can become a problem during a surprise downpour of rain. If a storm catches you by surprise, putting on the protective cover as you head out of the area will protect vital components. And when you’re storing the metal detector for long periods of time, keeping the cover on will prolong the life of the coil by keeping dust from collecting on it. This is one of many areas where Garret shines over the competition. These are full stereo capable headphones with comfortable ear pads. They are more than capable of handling the beeps and tones from a metal detector, but are often used just as much outside of object hunting. Great sound quality is one of the main reasons buyers appreciate Garrett branded headphones. In the $500 and under category, they are wired, but come with inline volume control. Since it was meant to be used while walking with the metal detector, the cord is just the right length for everyday use. You can count starter sets as another category where Garrett excels over the competition. This time though, it is beneficial for all levels of users. 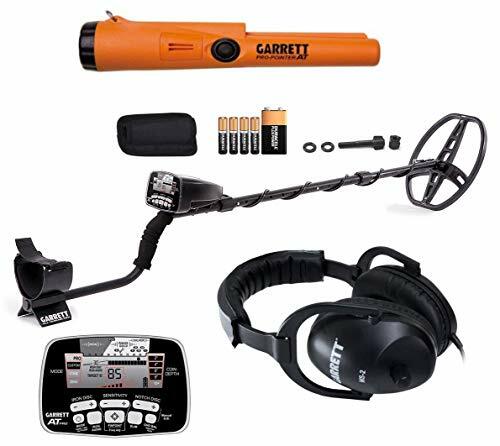 Garrett starter sets comes with the essentials; protective covers, batteries and headphones. Some sets even come with separate pinpointers, like the Ace 400. Starter sets with Garret isn’t series specific, so you’ll have plenty of choices from their catalogue to pick from. A lot of money is saved by purchasing a starter pack vs. purchasing all of the accessories on their own. And if you really want good headphones for your metal detector, getting them all with a metal detector you want is just smart shopping. There are two standouts on the list for warranties; Bounty Hunter and Fisher. Both companies have a full five year warranty that is incredibly thorough at protecting the consumer from defects. These are still the best warranties in the business, and it makes things easier for users that don’t want to go through a lengthy return process. Garrett offers a two year warranty, which is still good compared to other manufacturers of metal detectors. Buyers that like Garrett but want a longer warranty can check into getting an extension on their original. This of course will cost extra, so it can be considered one of the pros of going with Fisher or Bounty Hunter. 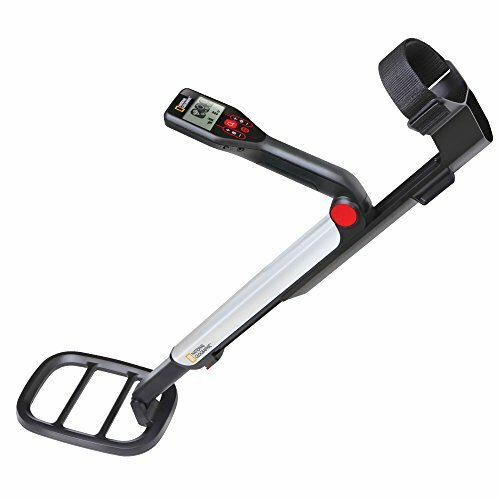 Ultra-lightweight metal detectors makes life a lot simpler when you are using it for hours at a time. Heavier products are usually carried over your shoulders when they need to be carried for short to long distances. This is the most convenient way to handle a metal detector without adding strain to your body. With the products on the list weighing less than three pounds, they enter the ultra-lightweight category for the industry. Fisher products like the F22 are only 2.3 pounds out of the package, which is so light that you’ll barely notice it. This difference in weight determines buying decisions for consumers with back or shoulder issues. Weight isn’t just about making it low, but also balancing it out over the entirety of the product. The search coil is the heaviest part of the metal detector, so a good brand will make sure it evens out across the entire device. They will also add support/comfort near the arm and elbow area, a vital part of balancing out the coil weight. 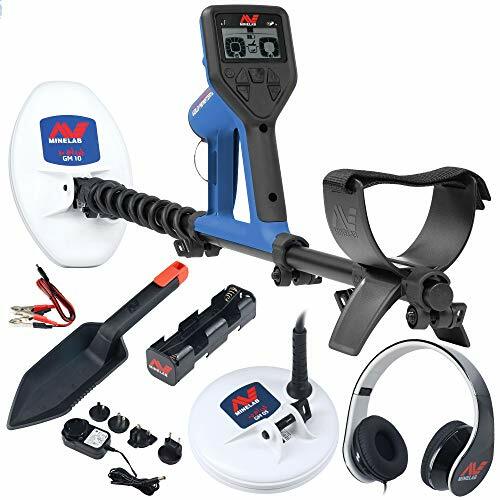 Three companies dominate the $500 and under market with metal detectors. They are all solid choices for consumers that want the very best value at the lowest price.